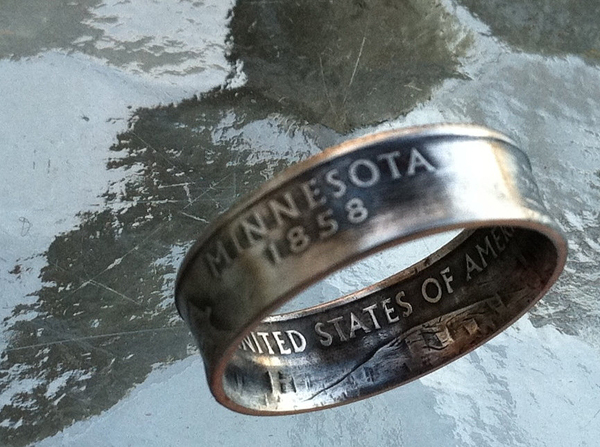 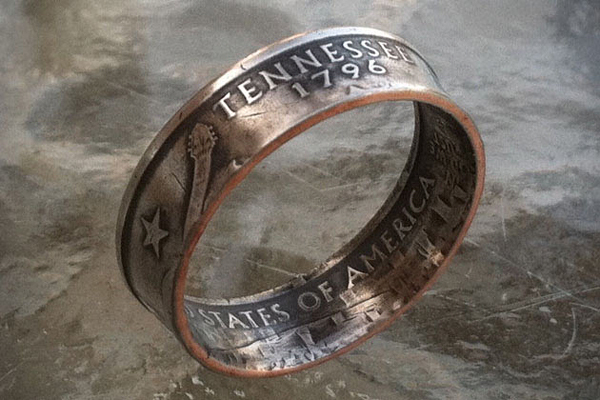 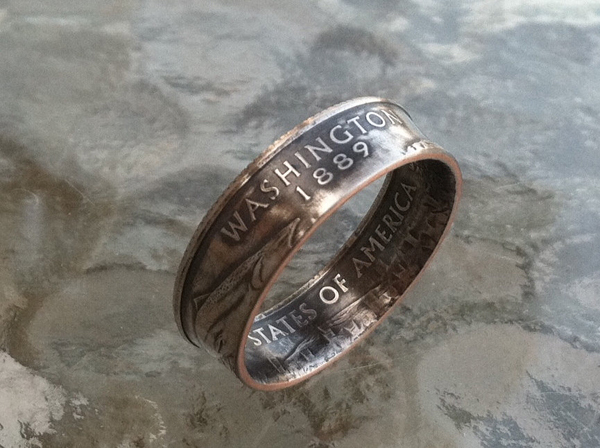 Emily Brent from Columbus, Indiana, USA used old coins to create unique rings, of which the most obvious feature is that each custom ring retains all individual characteristics of the coin it made from. 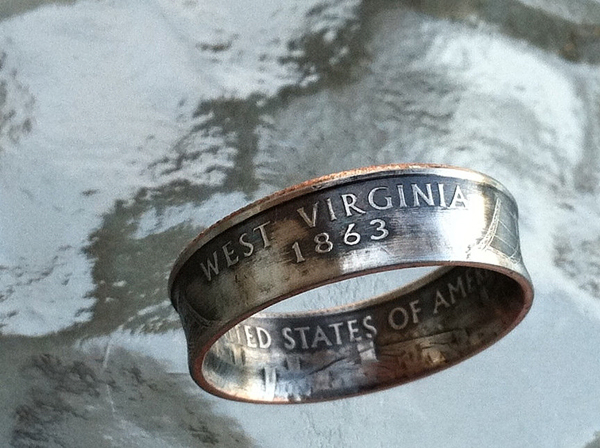 Do you make these to sell to people? 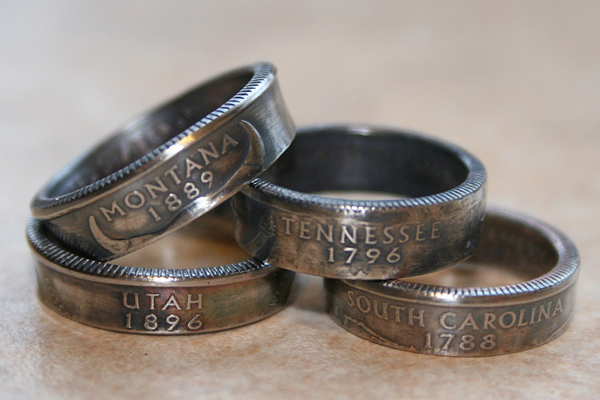 If so I would love to know the cost and buy two of them; one for me and one for my boyfriend. 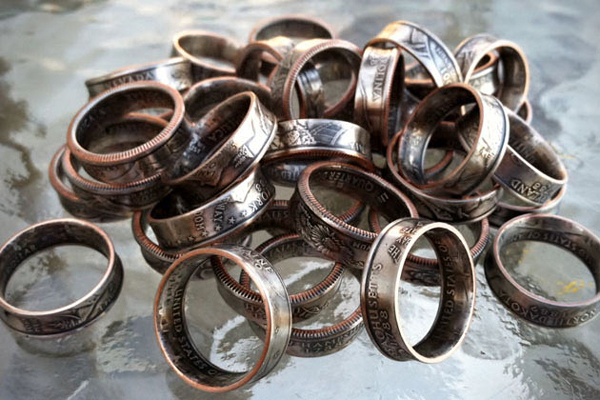 The rings are something we’re both really interested in; they’re very unique and amazing.